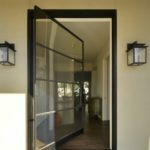 Pivot doors are quickly becoming one the hottest trends in custom building. 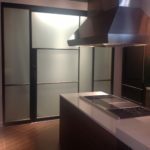 Portella has been fabricating Pivot doors for the past 10 years. 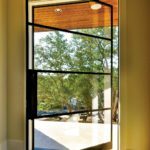 We offer pivot doors in our narrow sightline steel Architect Series, as well as the contemporary MoMa Collection. 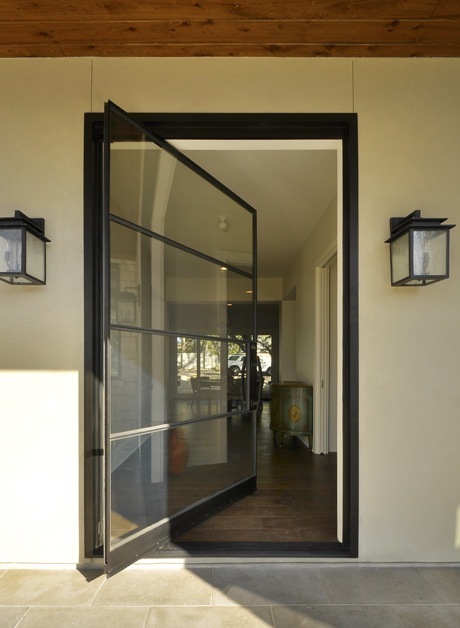 A few guidelines to consider; the minimum width of a pivot door should be 4 feet. 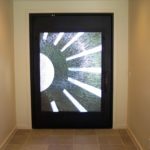 The pivot point can be located 8 to 12 inches from the edge of the door giving a free swing clearance of 3 feet or greater. 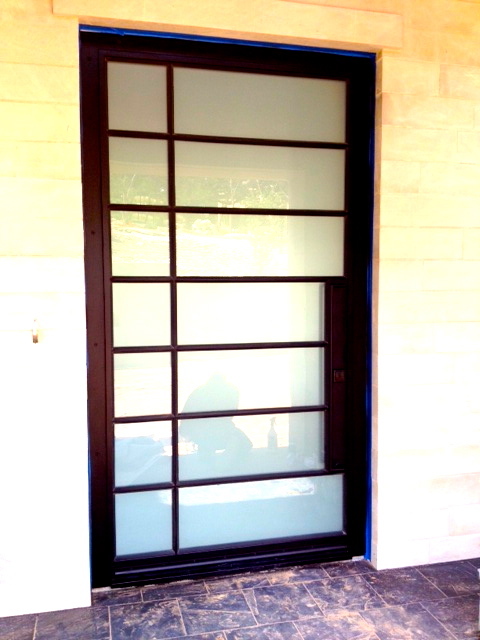 We use 6 feet wide as the maximum width of our pivot doors. We can accommodate heights up to 10 or 11 feet. Custom pull handles and thresholds that conceal the pivot system are an integral part of Portella’s pivot doors. 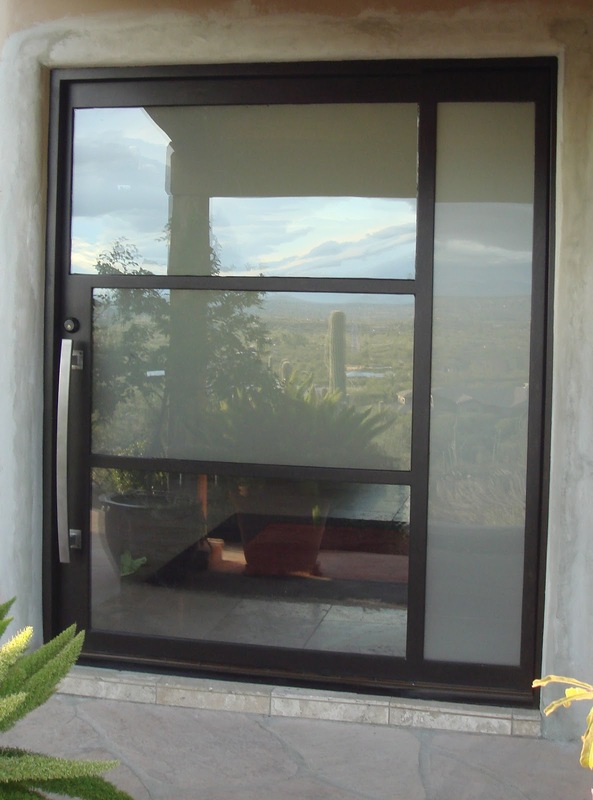 This pivot door installed in Tucson AZ is featured on our website. 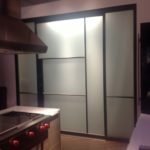 The unit is 6′ w x 7′ 3″ h. The Architect, Simmons Home Design, brought more detail to the unit by combing satin etched glass with a clear glass lite on the bottom. 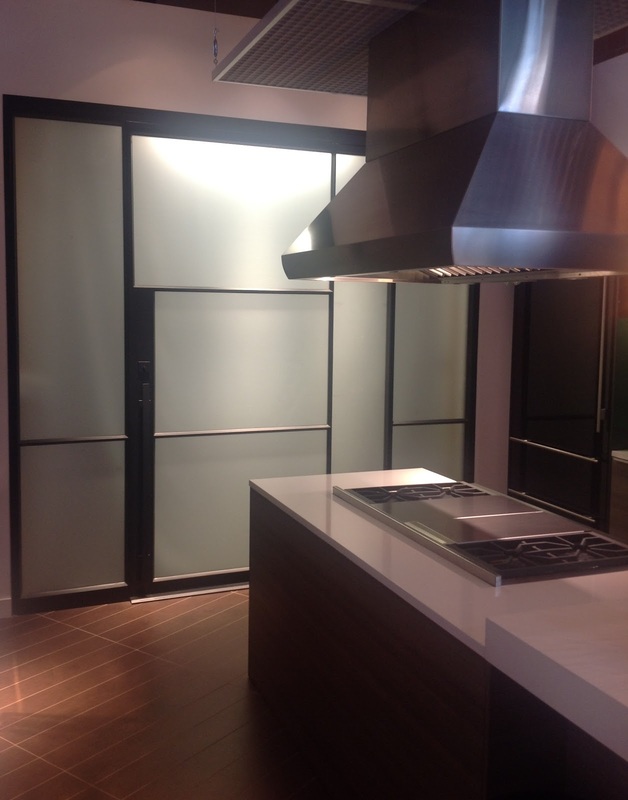 Portella M10 custom pull handle is shown in natural polished steel finish. 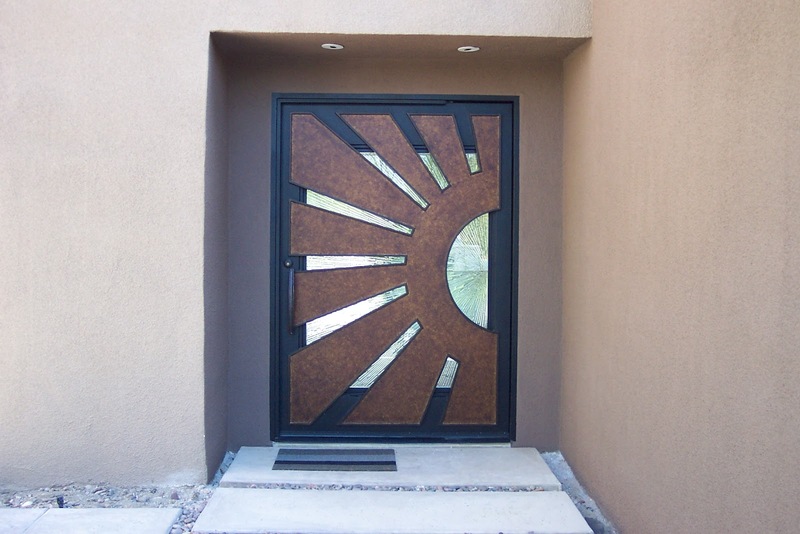 MoMa Series Sun Door – This unique custom designed door features a separately hinged glass panel (on the interior side of the unit). 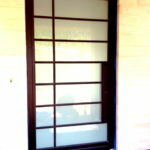 Amber colored glass was later installed at at the job site. 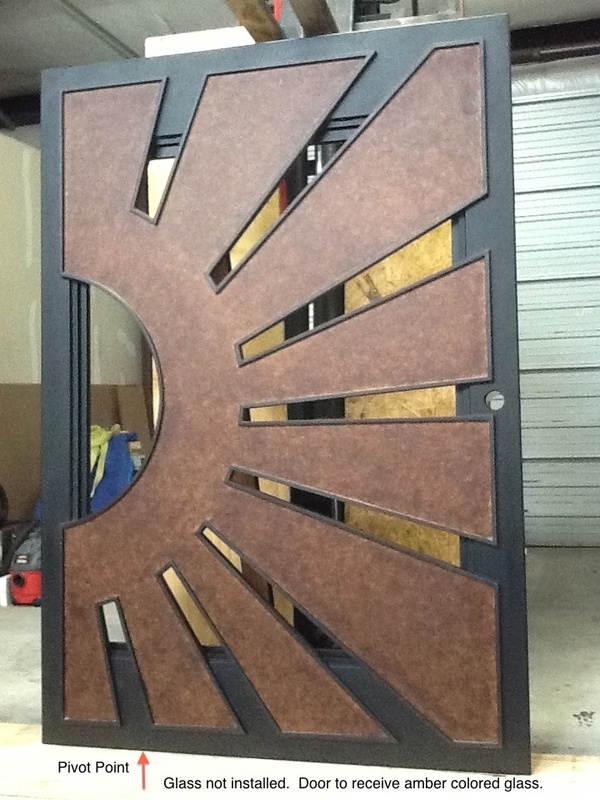 Door size is 6 feet wide x 8 feet high. 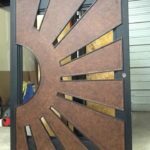 Custom Portella finish of bronze rust with dark rust and black edge details. 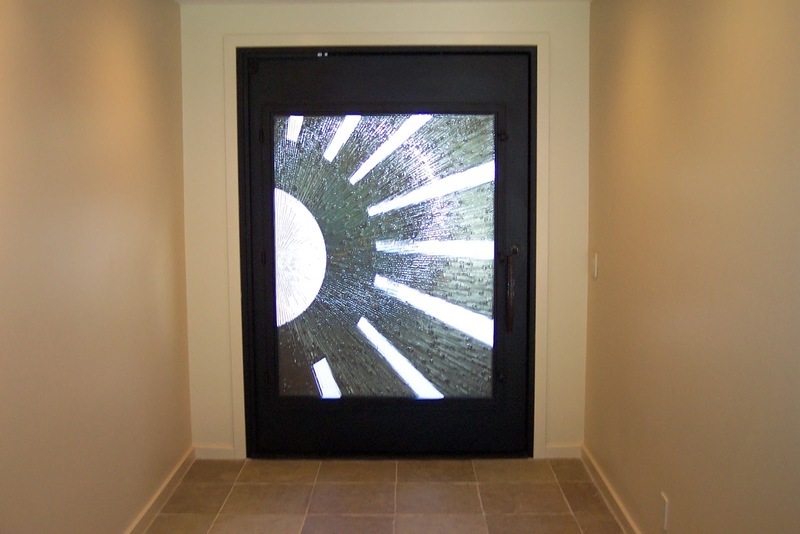 Steel Pivot Door – Narrow Sight Line Architect Series – 4 lite 1W 4H. 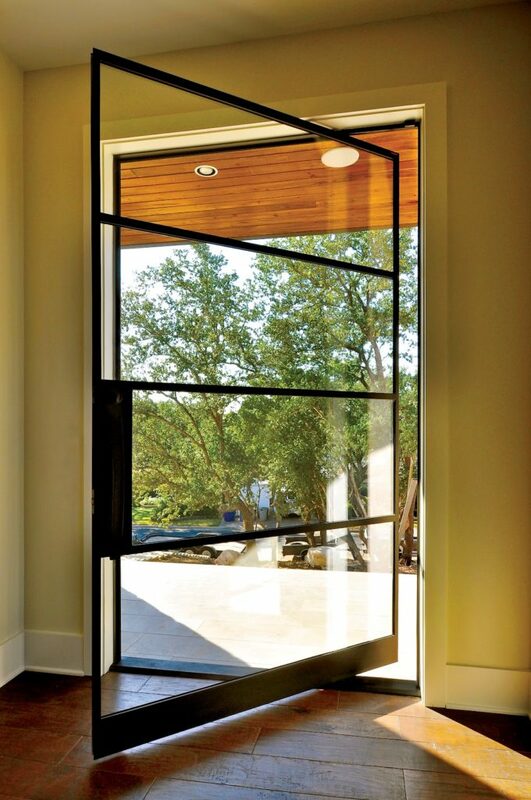 Narrow sight lines make the appearance of the door clean and minimalist. 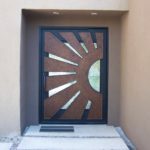 The finish is Portella standard dark bronze. Hardware is Portella M10 custom pull handles in matching dark bronze finish. 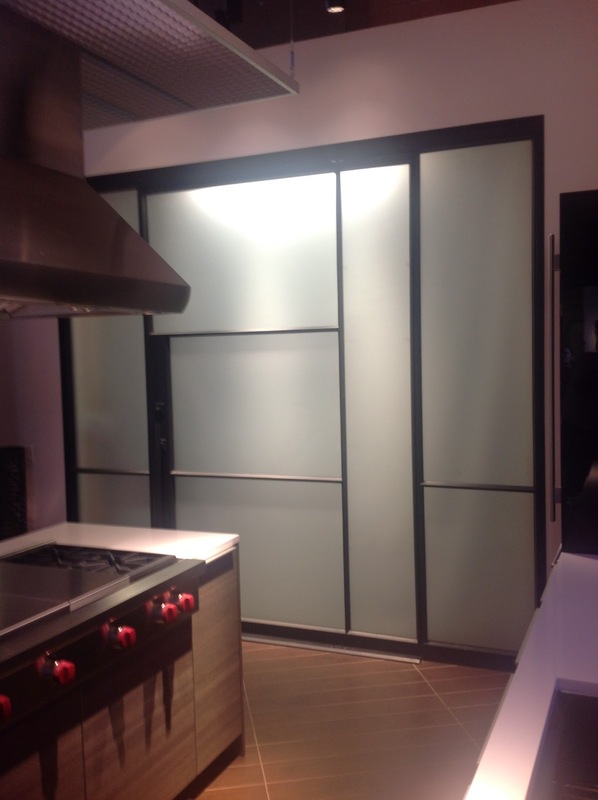 Contemporary metal door from Portella’s MoMa Series M176 with 4 Lites. This unit is 4 feet wide x 8 feet high, finished in Portella standard finish Steel Grey, and features M30 custom pull handles. 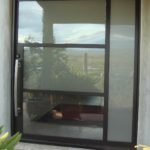 Satin etched insulated glass provides privacy.